OK, now you know too much about me, even down to my moisturiser of choice (Aesop Mandarin Facial Cream, so good!) 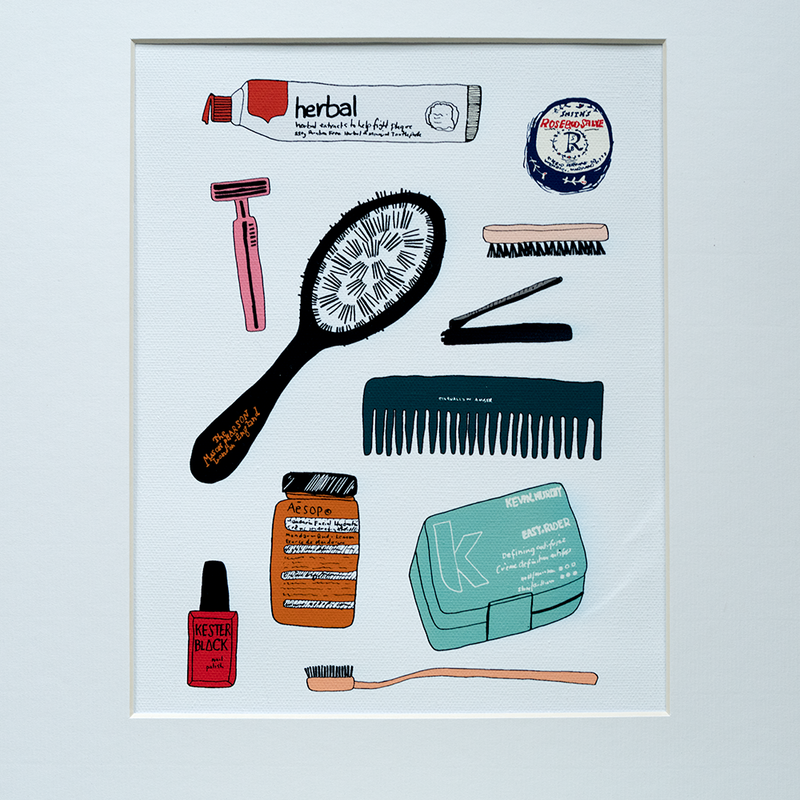 and my favourite nail polish (Kester Black is the biz), because I drew them all and then turned that drawing into an art print. Is that weird? It feels a tiny bit weird. Oh well. The packaging of these objects are burnt into my brain, cos I use them all the time. And some of these things are sentimental, like the Mason Pearson hairbrush my mum got me for my birthday when I was a kid (thanks mum!) and the comb my friend gave me for my most recent birthday (thanks Em!) Oh, and my tip for nail clippers? Go to Muji. And a little heads up that all art prints are now available in A4 and *new* A3 size. They're all archival quality giclee prints, using the highest quality pigment inks, printed on fade resistant canvas paper (I just love that texture!) Hope you like.